We can match any color with our Pantone mixing system. Rest easy knowing that all colors will be to your specification. Plastisol is an oil-based ink and tends to leave a "feel" on the shirt. Holds details and fine lines. Will last the life of a shirt. Works well for four-color process or simulation process designs. Soft hand plastisol printing technique is available for orders that need a vintage-look or feel. Discharge ink has no feel when printed onto a 100% cotton t-shirt. 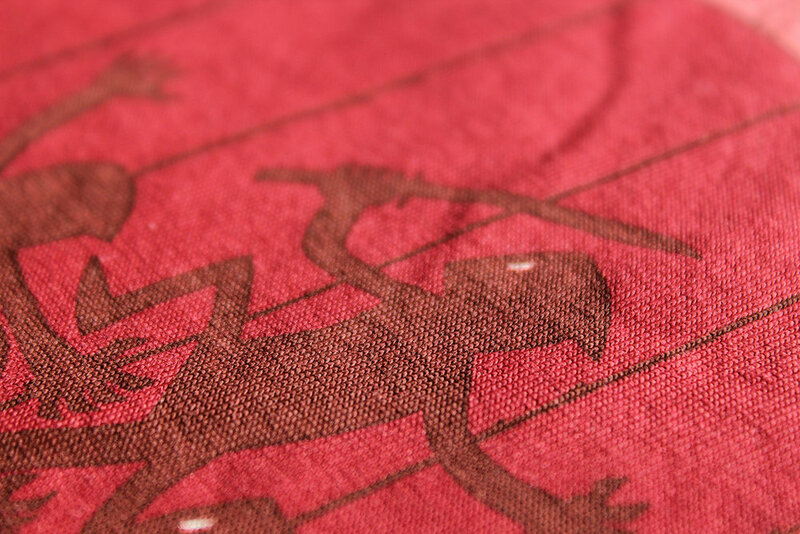 Discharge ink is printed into the t-shirt fibers and is essentially "bleaching" the shirt the color of the chosen ink. Great for a "vintage" look. Discharge works best on 100% cotton tees. Results will vary on 50/50 blends and tri-blend styles. The softest print possible with vibrant colors on light garments. Waterbase ink prints into the fibers of a shirt. Can hold textures just as well as plastisol. 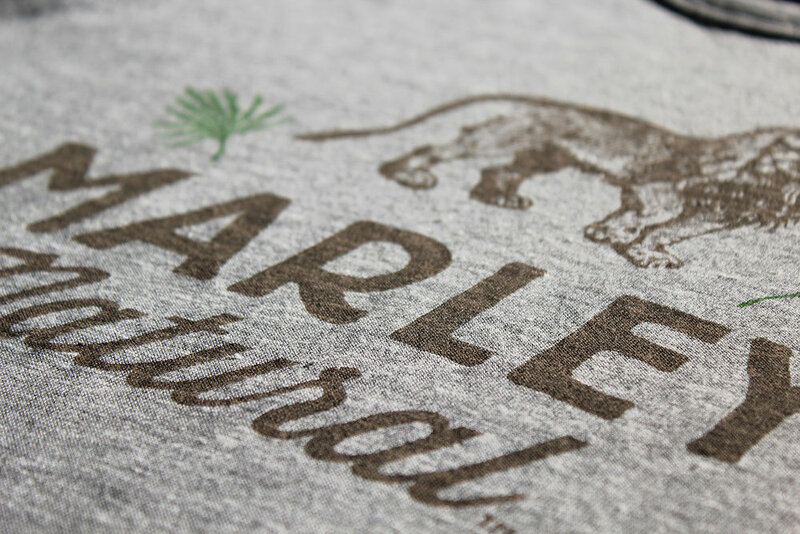 Metallic ink is plastisol with a metallic powder additive to give it a "reflective" sheen and finish. Foils are an application added after a plastisol base is printed on your shirt. Foils have higher grade finish and feature a more reflective look than metallic ink. Great for athletic apparel (custom names and numbers), hard to print accessories (ie. camp chairs, nylon jackets), applying patches to apparel and accessories, and dye sublimation transfers.